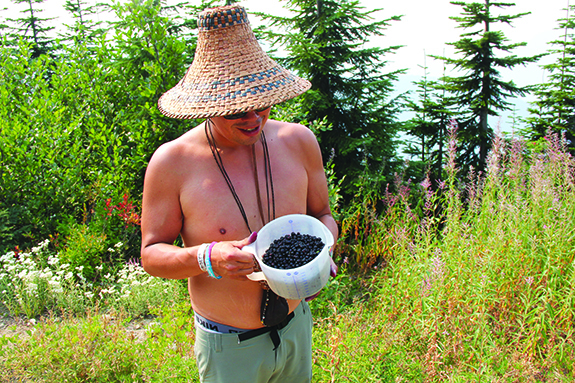 The gate to swədaʔx̌ali huckleberry fields was opened from August 25 to September 10, allowing tribal members a two-week window to walk in the shadows of their ancestors and harvest the elusive mountain huckleberry. Traditionally, the end of summer meant an annual trek of berry picking parties into the high regions of the Cascade Mountains to harvest the rare and sought after dark maroon huckleberries. 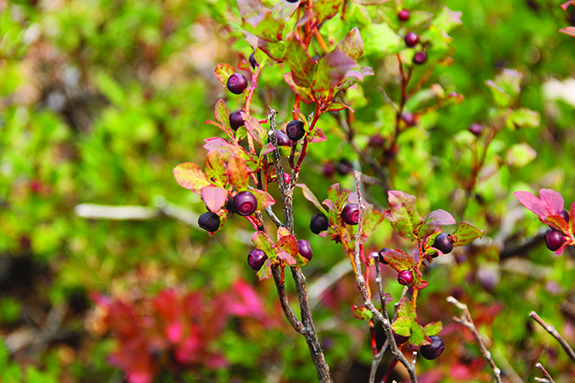 Mountain huckleberries are larger than the lowland evergreen variety and are more delicately flavored. They are found on high sunny slopes at about 5,000 feet elevation, and ripen towered the latter part of August and into early September. Fortunately, the Tulalip Tribes and its Natural Resources team has invested countless man hours and resources into a co-stewardship area located within the Skykomish Watershed, a place where our ancestors once resided. 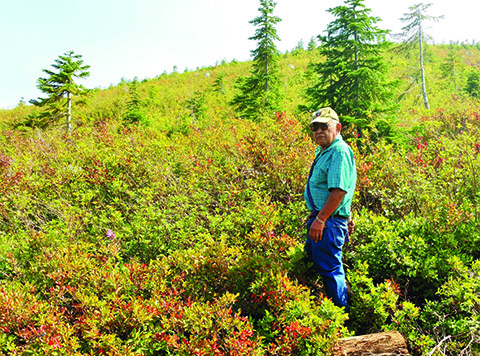 This pristine co-stewardship area allows tribal members to learn and practice traditional teachings in an ancestral space called swədaʔx̌ali (Lushootseed for “place of mountain huckleberries”). 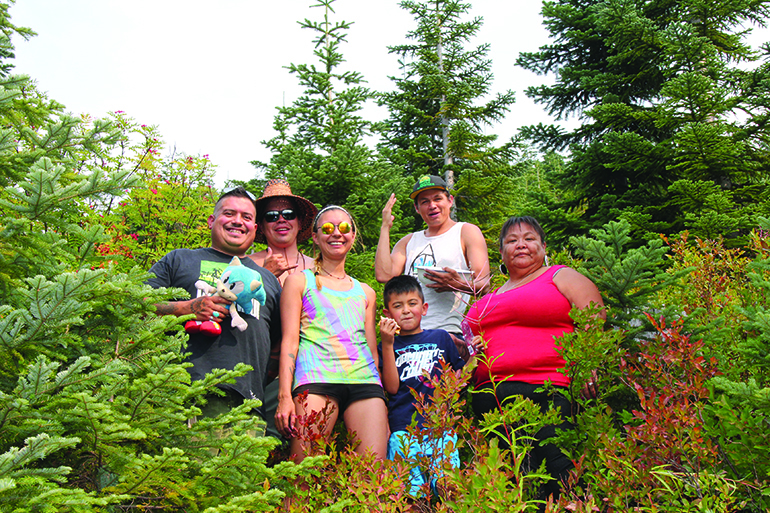 Over Labor Day weekend, a number of Tulalips used the holiday to undertake the 2-hour journey to swədaʔx̌ali and spend a day breathing the fresh mountainous air while berry picking under the summer sun. 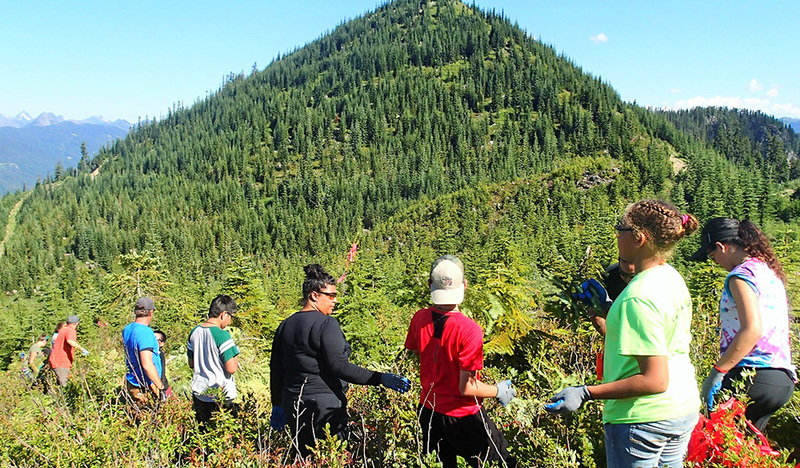 Among the harvesters was first-time berry picker and Lushootseed language teacher Maria Martin. “It was a beautiful, uplifting experience. Once we hit the forest, where there were no buildings, no cars, no people, just trees…my soul soared. I couldn’t not smile,” reflects Maria on her time at swədaʔx̌ali. 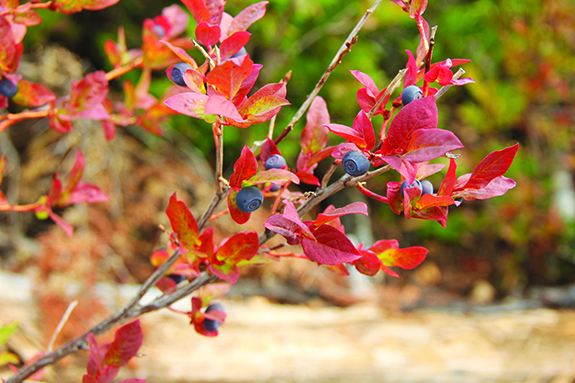 “I’ve read and heard stories of people out picking berries and I always wondered how that felt. I didn’t grow up doing traditional things. I’m lucky enough to have the opportunity to speak my language, but that is only a piece of my culture. 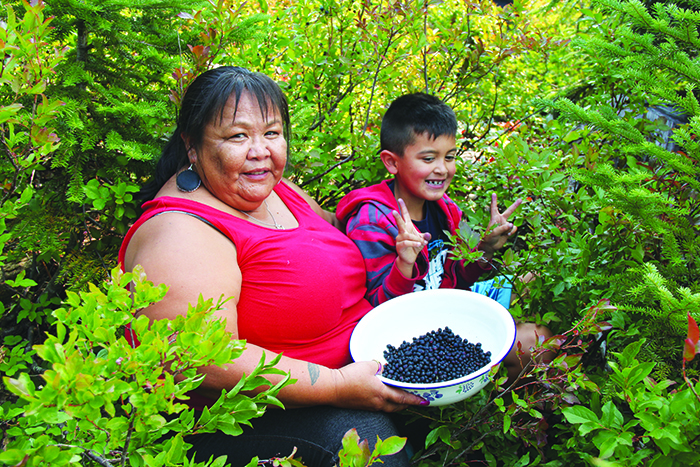 Several tribal members who recently returned from Canoe Journey also used Labor Day to pick mountain huckleberries, including George Lancaster, Shane McLean and Dean Pablo. George brought up his nephew Brutal and his aunt Lynette Jimicum so they could soak up the experience as well. For tribal member Shane McLean, his thoughts have been impacted by the ongoing natural disasters like the droughts plaguing the Pacific Northwest and raging forest fires throughout the region causing smoke and ash to cloud the skies.